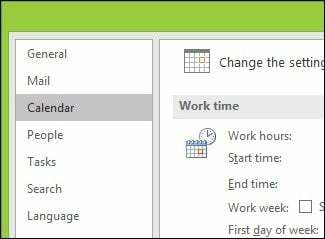 Enabling Week Numbers in Outlook 2016 is a subtle but handy feature if you work on projects or with international users. Here’s how to set it up. If you work on projects or with international users, this can be handy when persons are referring to a number of a particular week of the year. As you should know, there are 52 weeks in a calendar year, so this makes it easy to manage a time-based project or schedule. 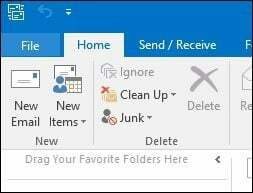 Let’s take a look at how to configure this feature in the latest version Outlook 2016. Launch Outlook 2016 and then click the File tab on the Ribbon. Then scroll down and select Options from the right pane. Then select the Calendar tab in the right pane. Now, under Display Options header at the right, check Show week numbers in the month view and in the Date Navigator. That’s it! 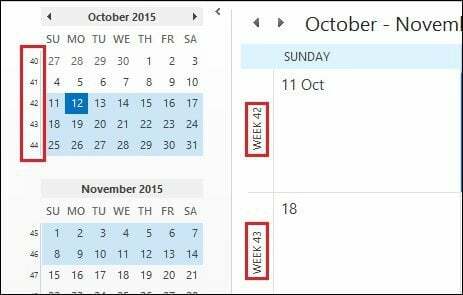 The Week Numbers will be displayed on the Calendar Navigation pane and horizontally on the Main calendar. 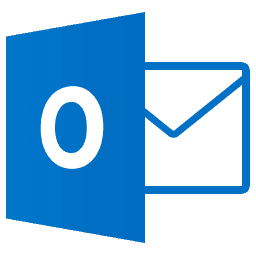 As I mentioned at the start of this post, you can also set up Week Numbers in Outlook 2013. But if you’re new to Office 2016, it’s helpful to know you can do it in the new version, too. I have a question, in outlook 2016, calendar from to do bar, it appears only the beginning time of a meeting, the end time appears only if you move the mouse cursor over a meeting. in older outlook appeared also the end time of the meeting. how can i have also the meeting end time?